Films for Transparency presents a series of eight new documentary films as an integral part of the 18th IACC programme. Reflecting the conference’s core concerns and drivers through the medium of film, F4T promotes documentary as a powerful anti-corruption advocacy tool, with the proven capacity to galvanise action, impact on policy, mobilise public opinion. The films tell compelling stories of activists, whistleblowers, journalists, lawyers and campaigners and provide a stimulating vehicle for reflection and critical debate. The conference theme Together for Development, Peace and Security – Now is the Time to Act is informed and enriched by the daily realities, filmed over a period of many years, of people who have decided to take action. Women feature strongly in front of and behind the camera, in peace building and non-violence, speaking truth to power and challenging patriarchal impunity. The films investigate the role of international justice, expose the complicity of supranational corporations and institutions and illuminate the courage and struggles of the whistle-blower. The protagonist/s and film-maker from each film are attending the conference and will be taking part in post show panel discussions. All IACC screenings take place in Auditorium 15 in the Bella Centre. F4T at IACC is produced in partnership between Transparency International, Doc Society and Bertha Foundation. This year F4T is delighted to be extending its reach by running a parallel festival October 20th – 25th, in Copenhagen in partnership with Danish Film Institute and CPHDox, so brining these important issues to the attention of the general public. Full programme information here. 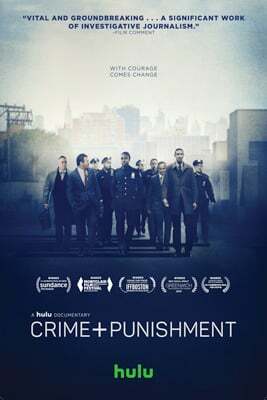 Crime + Punishment goes back stage at the US’s most powerful police department through the lens of NYPD12. This group of fearless black and latino active duty officers, risk their careers and safety to expose the pressure they are under to meet outlawed “numbers” quotas. Officers are expected to target vulnerable minority communities, arresting young people on low level charges, mainly later dismissed, making more than $900 million of the department’s annual budget on associated fines and fees. Post show speakers: Edwin Raymond is one of the NYPD 12 and features prominently in the film. His decision to join the NYPD was motivated by a desire to “help fix many of the issues and perceptions of the cops” and remains committed to exposing corruption and hypocrisy in what he sees to be an “inherently racist” force. Director Stephen Maing is an Emmy-nominated documentary filmmaker and visual journalist based in Brooklyn, NY. We will hear about the ongoing NYPD12 and how the film can be used to support whistleblowers and those seeking to expose injustice from the inside. Naila Ayesh played a central role in the First Intifada in the late 1980s, the most vibrant nonviolent mobilization in Palestinian history. 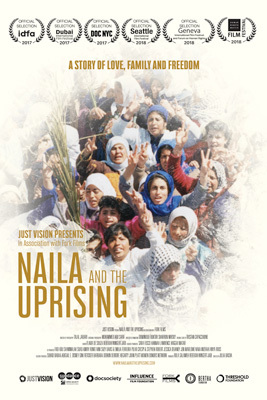 Through her remarkable story ‘Naila and the Uprising’ gives an holistic account of these events, bringing the courageous women who shook the Israeli occupation and put Palestinians on the map, out of anonymity for the first time. The film reveals the hidden history of nonviolent activism, underscoring the power of civil society in creating change and elevating the role of women in civil resistance. The documentary provides insight and wisdom from the veteran women activists of the First Intifada for today’s rising leaders. Post show speakers: A leading activist in the First Intifada, Naila Ayesh subsequently became General Director of the Gaza-based Women’s Affairs Center. Multiple award-winning filmmaker Julia Bacha is the Creative Director at Just Vision, a Term Member at the Council on Foreign Relations, a Young Global Leader at the World Economic Forum, an Advisory Board Member to the Tribeca Film Institute and a TED speaker. Discussion of the advocacy opportunities of the film will be of great interest to those working on women’s leadership, civil resistance, government accountability and media literacy. Ethiopia is one of the most profitable destinations in the global rush for farmland, the new green gold. Hoping for export revenues, the Ethiopian government leases millions of hectares of allegedly unused land to foreign investors. This drive for prosperity has resulted in the most massive forced evictions in modern history, harsh repression and a vicious spiral of violence. EU, the World Bank and DFID, contribute to this disaster by providing billions of dollars in development money. 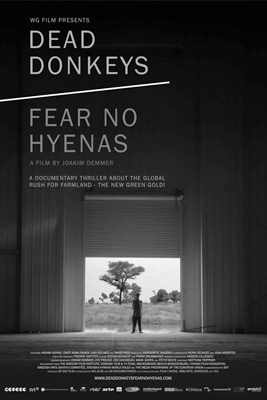 Dead Donkeys Fear No Hyenas investigates these foreign land-investments and exposes their impact on people’s lives. Post show speakers: Argaw Ashine is an Ethiopian journalist specializing in media and development issues covering Ethiopia and the Horn of Africa for major news agencies including Nation Media Group (Daily Nation) and Mail and Guardian. He founded Ethiopian Environmental Journalists Association (EEJA) to bring more journalists to work on development and environment issues. Argaw left Ethiopia in late 2011 after the government attempted to arrest him and EEJA was shut by government. There have been positive developments since the release of the film. Saudi-Ethiopian billionaire Mohammed Al Amoudi owner of Saudi Star who featured heavily through the film, was arrested in November 2017. Environmentalist Omot Agwa Okwoy who also features in the film was held in the infamous Kilinto prison for nearly two years. In April 2018, all charges against Omot were dropped. Special guest panellist Patrick Alley, founder Global Witness. 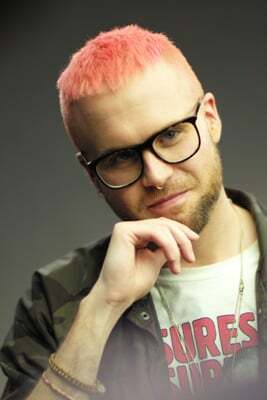 Christopher Wylie, the so-called ‘data whistleblower’ who worked for Cambridge Analytica, reveals how, in early 2014, 87 million Facebook users information was taken without authorisation to build a system to profile and target US voters with personalised political advertisements. At the time the company was owned by the hedge fund billionaire Robert Mercer and headed by Donald Trump’s key adviser, Steve Bannon. Using the architecture Wylie helped to engineer, people are perceived as observable, measurable data sets, allowing for the prediction and modification of behaviour. No longer ‘simply’ about privacy, it has the capacity to create an entirely new level of social inequality. This short film acts as a beacon to investigate a system that is on its way to becoming an all encompassing new power structure that we currently know far too little about. After the screening the Plenary 3 speakers will discuss the issues raised in the film with Jess Search. Khatera is 23 and pregnant. Both this unborn child and her young daughter were conceived following sustained sexual abuse by her father. Her fight to bring her father to justice exposes the lack of legal protection in a country where women rarely attempt to seek justice for themselves. The courts finally take notice of her case, after she tells her story on television, leading to a landmark conviction using DNA evidence. Yet this action turns her family and the community against her and she is forced into hiding. Her uncles believe only the death of Khatera and her children will end the shame on their family and exonerate their brother. Post show speakers: Khatera was smuggled out of the country for her own safety and now lives in France with her fiance and her children. 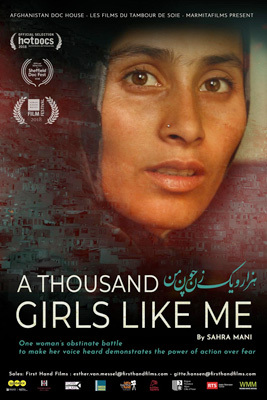 Both Khatera and Sahra Mani the film’s director and founder of Afghanistan Doc House are using the film to support women who are forced to keep silent about violations against them. The post show discussion will bring Khatera and Mani together with other women’s rights activists (to be announced) to share experiences and discuss the power of the film as an inspiring and urgent advocacy tool for women’s rights and human rights activists. Director - Robert Miller / Henry Singer. 2018. 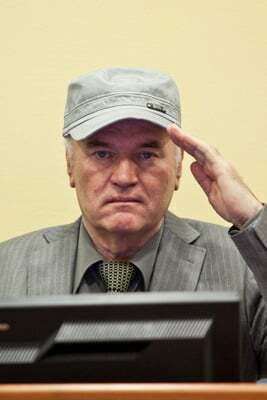 Mladic was one of the most infamous figures of the Bosnian war of the 1990s and was synonymous with the murder of over 7,000 Muslim men and boys in Srebrenica in 1995 — the worst crime on European soil since World War II. Filmed over five years with unprecedented access to the prosecution lawyers, the defence, witnesses who came to give evidence, and Mladic’s supporters and family members in Bosnia, The Trial of Ratko Mladic tells an epic story of justice, accountability and a country trying to escape from its bloody past. Post show speakers: Peter McCloskey, the lead prosecutor in the trial of General Ratko Mladic, and Branko Lukic, Mladic’s lead defense lawyer have their first face-to-face meeting since the trial’s end to discuss the work of the International Criminal Tribunal for the Former Yugoslavia, the tension between justice and reconciliation, and the future, if any, of international criminal justice. McCloskey and Lukic tried a combined thirteen cases at the ICTY, culminating in the Mladic trial. They will be joined on the panel by the filmmakers Rob Miller and Henry Singer. Special guest panellist Sarah Chayes, former Senior Fellow, Carnegie Endowment for International Peace. The documentary, starts in 2012 when police shot dead 37 miners in Marikana. It follows two irrepressible activists as they rise up out of their poverty stricken mining community in a historic and ongoing fight for justice and dignity. 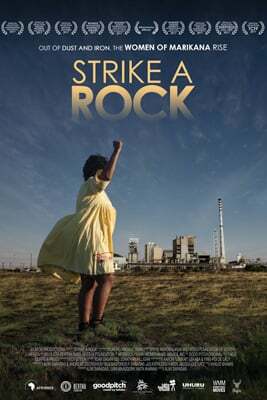 In an intimate story where the personal becomes political, from fighting on-the-ground to the corridors of power, two grandmothers and best-friends take on the corporate Goliath, British owned, Lonmin Plc, mounting a landmark complaint against them. Post show speakers: Primrose Sonti, one of the two activists featured in the film, is co-founder of women’s community Marikana based group Sikhala Sonte (We Cry Together) and member of parliament for the South African Economic Freedom Fighters, a radical militant economic emancipation movement and the third largest political party in the SA Parliament. She is a tireless campaigner in the ongoing struggle for justice and compensation for the widows, orphans and homes for everyone in the community. Aliki Saragas is a South African documentary filmmaker, championing women’s stories, and supporting women both in front of and behind the lens. 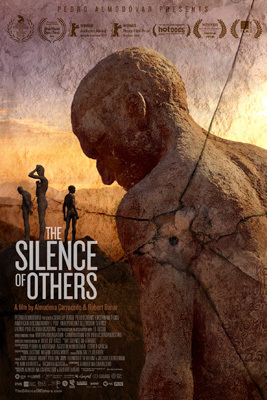 Seven years in the making The Silence of Others tells the story of victims and survivors of Franco’s 40-year crimes against humanity, who continue to fight for justice against state-imposed amnesia of his reign of terror. The film’s rollout in Spain – starting with major Spanish film festivals in October, cinemas nationwide in November and a likely national TV broadcast in the next spring – coincides with the fall of the conservative government. The centre-left administration is receptive to “historic memory” issues making this documentary the right tool, in the right place, at the right political and cultural moment to catalyse public support for justice.